The 2014 National Curriculum Framework states that, 'All schools should make provision for personal, social, health and economic education (PSHE)'. 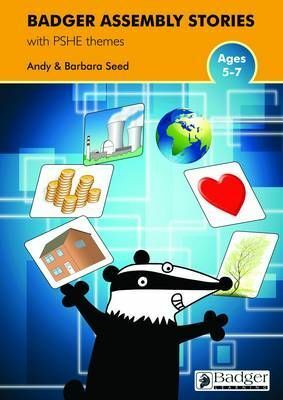 Assemblies are an excellent way of covering PSHE in primary schools and each of the specially written assembly stories in this book addresses one or more strands of the PSHE Association's non-statutory Programme of Study. Our Assembly stories range has been updated and corresponding with the new curriculum, these six new volumes of this extremely popular series contain between 25 and 32 assemblies each, plus an accompanying CD containing PDF files for easy printing and networking. Objectives and curriculum links are clearly stated in every volume. As well as assembly stories, these books include factual material on people, events or issues - and other forms of writing such as poetry and plays.